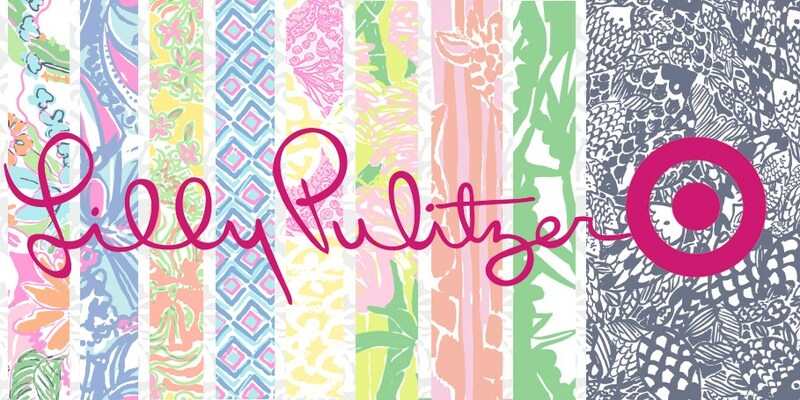 I love the bright, preppy prints of Lilly Pulitzer. So, when the Lilly Pulitzer for Target collaboration was announced, I was naturally pretty excited. Here's the plan of attack I've devised. Step One: Plan your Favorites. I've scanned through the Lookbook a few times and decided which items I'm interested in. This is important because it cuts down on impulse buys. Know what you want, which prints you like, and what styles will flatter you. The collection will sell out quickly, so you don't want to waste valuable time. I suggest making a list so you don't forget anything. Scarves -- I know I'll wear these. Lilly scarves are my favorites, and at $20, you can't beat them. Palazzo Pants -- Love these prints; they just look so fun and festive for summertime. And, at only $28, they are great to wear anywhere! Maxi Dress -- As a general rule, I don't go for strapless dresses. However, I find that Lilly shift dresses run a little short on me, and I figure this can be paired with a cardigan or shirt for a fun look that breaks up the head-to-toe Lilly look. Love the print, love the price. Stackable Mugs -- these just look like something my Great-Aunt Marie would have bought in Florida in the 1960s. They'd be a fantastic hostess gift, if you could bear to part with them. Now that you know what you want to buy, log in to Target.com sometime in the wee hours between Saturday night and Sunday morning. All Target will say is that it goes live "sometime very early Sunday morning", which is being hit with guesses of everything from midnight to 4 a.m. If the most recent Lilly Pulitzer online sales are any indicator, expect slow sites, rapid sellouts, and crashed servers. For an optimal experience, make sure you have your Target account current with the appropriate credit/ debit card, and your shipping address. And don't forget that you get free shipping on a $25 minimum apparel order! Step Three: Tackle the Stores. They'll be open on Sunday at 8:00 a.m. in your time zone. Expect a line and an event. I'm not going the "look for out-of-the-way stores" route; others swear by it. I have no idea who's right. In any event, here are all the stores in Kentucky and adjacent areas. Eastern Kentucky: It's kind of the bane of my mom and my existence that there isn't a Target in Pikeville or Hazard. This needs to happen ASAP. As it stands, we trek to Barboursville, WV or South Charleston, WV (I'm trying to convince someone in my family to head out there Sunday morning to scope out the selection!) A lot of my Southeastern KY friends and family go to Knoxville as well. Lexington: There are two stores in the LEX, the Nicholasville Road adjacent store at 131 West Reynolds Rd, and Hamburg at 1940 Pavillon Way. Northern Kentucky: If you're in the NKY, go to 1100 Hansel Drive in or 160 Pavilion Pkwy in Newport. Louisville: Here in the Derby City, there are plenty of Targets, which is good, because I know a lot of Lilly Lovers in town! Check out Bashford Manor at 3600 Mall Rd, Dixie Highway at 9070 Dixie Hwy, Jeffersontown at 4640 Taylorsville Rd, Jefferson Pavilion at 7311 Jefferson Blvd, Middletown at 12975 Shelbyville Rd, Springhurst at 4101 Towne Center Dr, and St Matthews at 4174 Westport Rd. Elizabethtown: E'town's Target is at 1631 Ring Rd. Owensboro: The Owensboro Target is at 5151 Frederica Street. Paducah: Paducah People in the Know tell me that Marion, IL is the place to go. Happy Shopping, y'all! Can't wait to hear what you find and what you love! The links in this post contain affiliate links and HerKentucky, LLC will receive a small commission if you make a purchase after clicking on the link.